The second round of AOU Check-list proposals was released last week. The entire South America heavy set is available at the AOU website here (.pdf), but just like last time I’ll keep the focus on those that will potentially affect the ABA-Area. The same disclaimer applies as well. It’s important to note that these are proposals on which the committee has yet to vote, or at least they have yet to make those decisions public, and as always there are some that are unlikely to make the cut formally but are still interesting from a systemics perspective for those who dig that sort of thing. 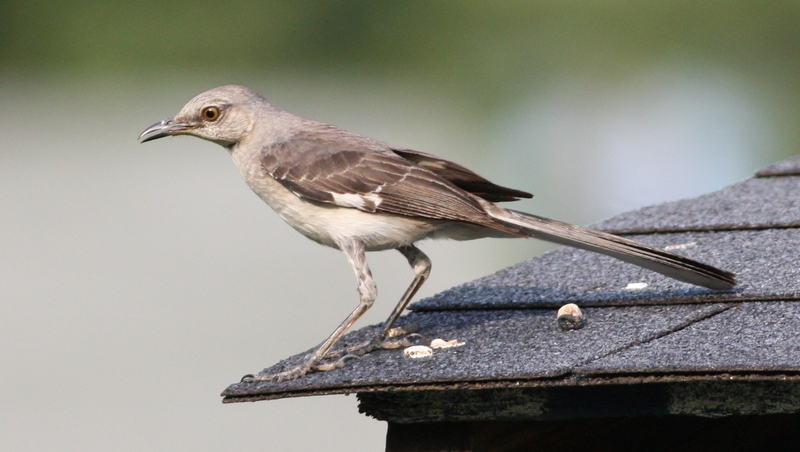 Mockingbirds, Catbirds, and Thrashers are apparently due for some revision, as their relationships have been the subject of several molecular phylogenetic studies in the last few years. There’s nothing here particularly controversial, though species limits between Northern/Tropical Mockingbirds remain an open question. Nutting’s Flycatcher consists of two subspecies, the northern inquietus of western Mexico and the southern flavidior that ranges from southern Mexico to Costa Rica. Based on differences in voice, preferred habitat, and plumage, it is proposed that the two populations are distinct enough to be considered species in their own right. All ABA-Area records come from the northern inquietus population, so no new species would be added to our list. The name Ridgway’s Flycatcher is proposed for flavidior. When Common Moorhen was split along Old World/New World lines our Gallinula became Common Gallinule and Common Moorhen was relegated to Eurasia. At almost the same time this decision was finalized, however, a Gallinula sp was collected on Shemya Island, Alaska. That specimen was determined to be the newly split Common Moorhen, adding the species to the North American lists as a naturally occuring vagrant. Undoubtedly the most controversial proposal on this particular docket. Examination of the sequence data from 201 rosy-finches of the three North American species, along with other Eurasian finch species, found that the North American rosy-finches are not as distinct as originally thought. The differences between them are primarily defined by local adaptation rather than historical relationships, theoretically making the whole rosy-finch complex on this continent an example of clinal variation, albeit one obscured by their patchy distribution. I’m not a geneticist by any means (I can’t even convincingly play one on TV), so I’m not sure what to make of all of this but the findings seem compelling. If lumped, it is proposed that the species go by the name American Rosy-finch. Another fairly straight-forward rearrangment of a genus based on genetics. The North American “Purple” finches used to be placed firmly in the genus Carpodacus along with Old World rosefinches. They’ve since been carved out with the old but still bloody genus Haemorhous resurrected for them. This is just a minor fixing of the trio’s spots in relation to each other. We close with a little historical drama. Sort of. Thomas Say was an influential naturalist and taxonomist of the late 18th and early 19th centuries. He’s perhaps most familiar to birders as the inspiration for the Say’s Phoebe, named after him by Charles Bonaparte (he of the gull). So maybe not all that dramatic after all. The entire list of proposals is available here.